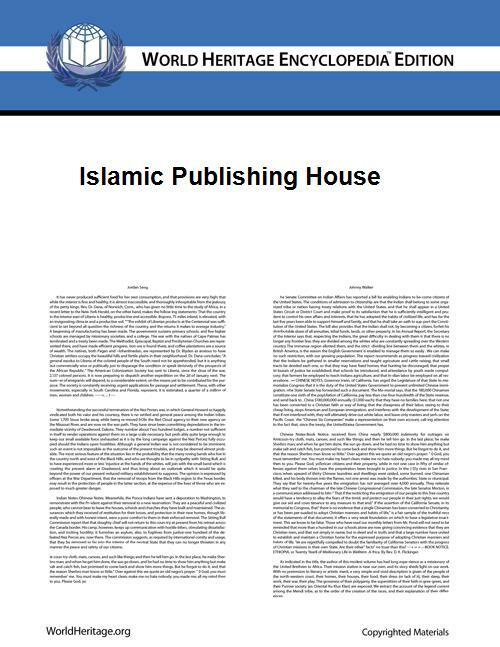 Islamic Publishing House is a leading publisher of Islamic literature in the state of Kerala, India. It was founded in 1945 as the official publication division of Jama’at-e-Islami Hind, Kerala chapter. Its headquarters is in Kozhikode, Kerala. IPH began publishing in 1945 at a small mosque at Irimbiliyam, near Valanchery, Malappuram District.V. P. Muhammed Ali Haji (a.k.a. Haji Sahib) lead the initiative in its early stages. The office was later shifted from Irimbiliyam to Valanchery and then to Edayoor and finally to Vellimadukunnu. Abul Jalal Moulavi, T. K. Ibrahim and T. Muhammed Sahib headed IPH at various times. Sheikh Muhammed Karakunnu has been the Director of IPH since 1982 till 2008. The current Director is VK Ali. A translation of Abul A’la Mawdudi's Towards Understanding Islam (Urdu:Risal-e-Diniyat) by V. P. Muhammed Ali Haji (a.k.a. Haji Sahib), titled ‘Islam Matham’ was the first book to be published by IPH. It also marked a significant shift of Islamic publications in Kerala from the hybrid Arabi-Malayalam script to the Malayalam script. It has since sold 67000 copies. IPH is the biggest publisher of Islamic literature in the whole of South India. Apart from Calicut, it has branches at Thiruvananthapuram, Ernakulam, Thrissur, Kannur, Malappuram and agencies at more than 20 places in Kerala and the Middle East. It has published almost 500 books so far and many of them have sold more than 50,000 copies. Namaskaram(Prayer) written by Abul Jalal Moulavi alone sold 1,34,000 copies. All IPH publications follow the International Standard Book Number (ISBN) standard of book identification and are numbered ISBN 817204XXXX. Many of its publications have been published as e-books and are available for download at the Jamaat-e-Islami Hind, Kerala website. Lalithasaradsm, a Malayalam translation of the Qur'an, has also been published online. In September 2008, IPH released the first electronic edition (DVD) in Malayalam of Tafheemul Qur’an, the commentary of Quran by Abul Ala Maududi. IPH has been a regular presence at international book fairs like the Sharjah Book Fair and the International Book Fair in Riyadh. Murad Hoffmante Diary Kurippukal (Eng:A Diary of a German Muslim - The Diary Notes of Murad Hoffmann ) - Murad Hoffmann. ^ Mohammed The Prophet By Prof. K. S. Ramakrishna Rao, Head of the Department of Philosophy, Government College for Women University of Mysore, Mandya-571401 (Karnatika).Re-printed from "Islam and Modern age", Hydrabad, March 1978.